Magicality shows you that with faith, love and gratitude that you can truly create the life of your dreams using the law of attraction. The universe starts giving you so much and you feel so grateful for it. A way to honor the universe is to give back. Whether it be to volunteer your time, money, a shoulder to lean on or some other means of giving back, the universe will appreciate that you are paying it forward. 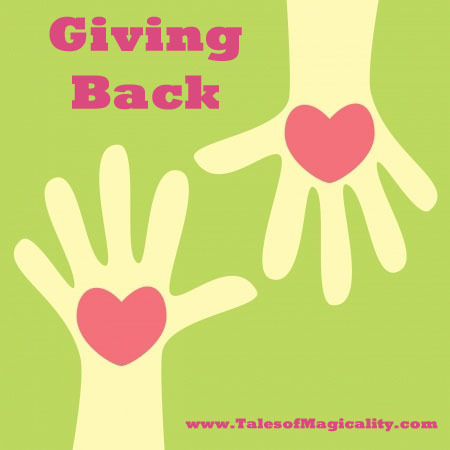 When you give back, you will not only feel amazing for doing so, but you will see that anything you give comes right back to you, and usually in increasing quantities.